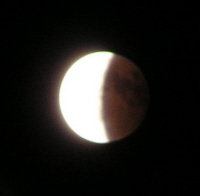 A total lunar eclipse was visible from Europe and a large part of the world in the night of Saturday, 3 March. 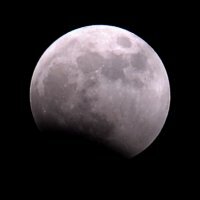 The Moon passed through the Earth's shadow, with the greatest eclipse occuring at around 23:21 UT. The totality lasted for 73 minutes. The eclipse was visible in all of Europe, Africa, South America, and in nearly all of North America, Asia and Australia. 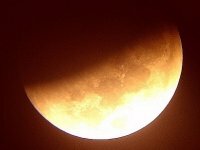 The partial eclipse phase started at 21:30:22 UT, when the Moon entered the Earth's Penumbra. 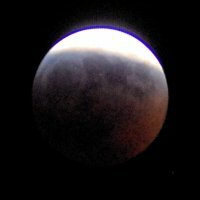 The totality lasted from 22:44:13 UT until 23:57:37 UT, when the Moon wss entirely within the Earth's Umbral shadow. The following partial eclipse phase lasted another 74 minutes, ending at 01:11:28 UT. 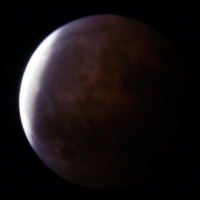 The previous total lunar eclipse occured on 27 October 2004. At that time, the SMART-1 probe was still en route from Earth to the Moon, two weeks before its lunar capture on 15 November 2004. 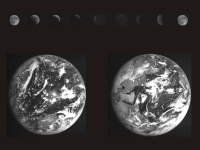 SMART-1 observed the first family portrait of the Earth-Moon system during a lunar eclipse and obtained the time series of pictures seen here on the right, using the AMIE instrument. On 3 September 2006, the SMART-1 mission ended by a controlled impact with the lunar surface. 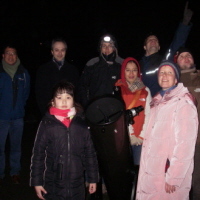 We call the community and public to observe the site of the SMART-1 lunar impact flash and debris in Lacus Excellentiae (lake of Excellence). In particular during the total lunar eclipse. The coordinates of the SMART-1 impact site are longitude 46.2° West, latitude 34.4° South. See also the links on the right-hand side for more information on the SMART-1 impact site. 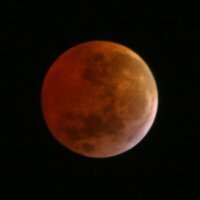 You are invited to share your pictures of this total lunar eclipse, by sending them to scitech.editorial esa.int or Bernard.Foing esa.int. 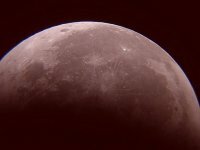 A lunar eclipse also gives an opportunity to observe the Moon and learn more about the lunar geography, as various craters will be hidden and emerge from shadow at well defined times. The table below lists the times during which various craters entered and emerged from the Earth's shadow during this total eclipse. Times are given in UT with the data from Fred Espenak.